Hyperfine Media invested in new equipment to improve our 4K and slow-motion shooting capabilities. We have invested in a new Sony PXW-FS7 camera very quickly fell in love. And as we shoot more with it, clients will see why. Without diving into the technical details (don’t get us started on the FS7’s Codec), the great thing about this camera is that it allows us to shoot sharp video in 4K resolution. The FS7 can also shoot in slow motion HD and, importantly, it looks cool as well. Here’s the FS7 (right) next to our trusty C100 camera. You might have heard people talk about 4K video as if it’s a good thing, but do you know what it means? It simply refers to the resolution of an image. 4K refers to the number of vertical ‘lines’ in an image. It goes back to the days when everything was shot analogue, because 35mm film has roughly 4,000 vertical lines in it. 4K definition is officially 3,840×2,160. It is twice the resolution of standard HD, which is 1920×1080. This means that you can fit four standard HD images into one 4K image. For our videos, the big benefit of 4K is that it allows us to zoom in and out of pictures without dipping below HD resolution. This means that we can get wide and close-up shots from a single piece of footage. The FS7 can also shoot up to 180 frames per second in HD, allowing for more creative slow motion shots. We anticipate this being very popular with manufacturing and engineering companies who want to capture fast processes in clear detail. With its extendable arm mount, the FS7 is also good for dynamic handheld filming – which adds a new and interesting dimension to videos. 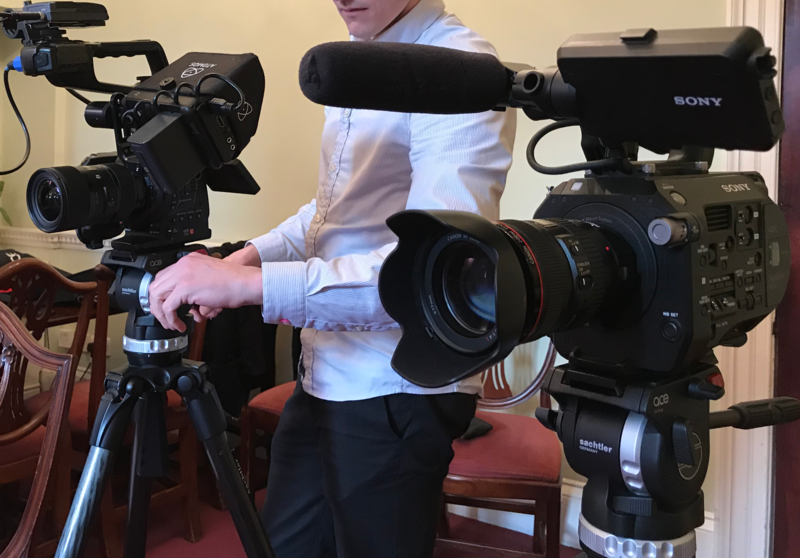 Although the menu takes some getting used to and the FS7 isn’t as good in low light as some of our other cameras, on the whole, we are very impressed with our new camera. We’ve also been making use of a great new Adobe After Effects script that lets us create GIFs instantly. GIFs are great marketing assets because they are easy to consume, and they make your audience more likely to remember your key messages. We especially like them on social media and in content. The script is called GifGun in case you want to use it yourself.